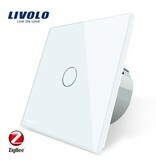 Livolo | Design Touch Switch | 1 Gang 2 Way | 1 Hole | Zigbee Protocol Smart Home. 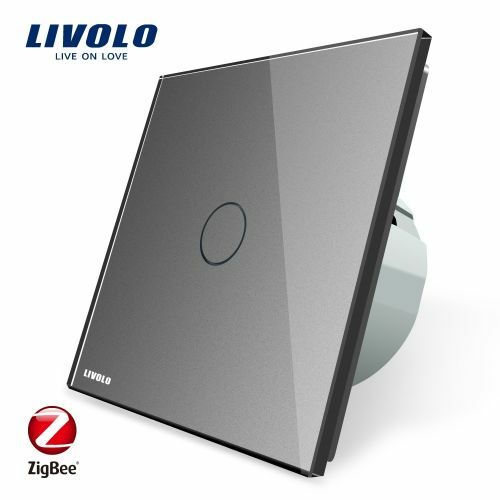 Operable with your smartphone or tablet. 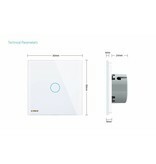 Wifi / App Operable. 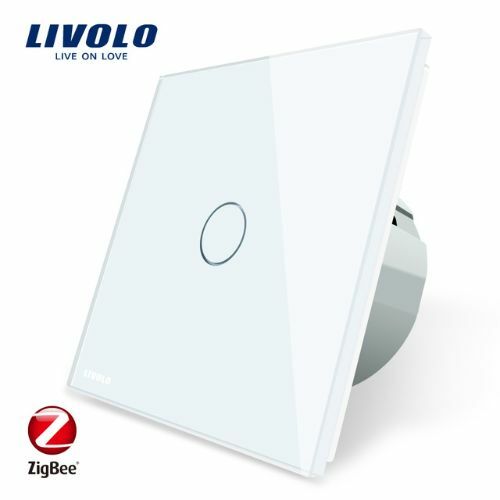 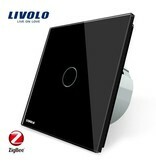 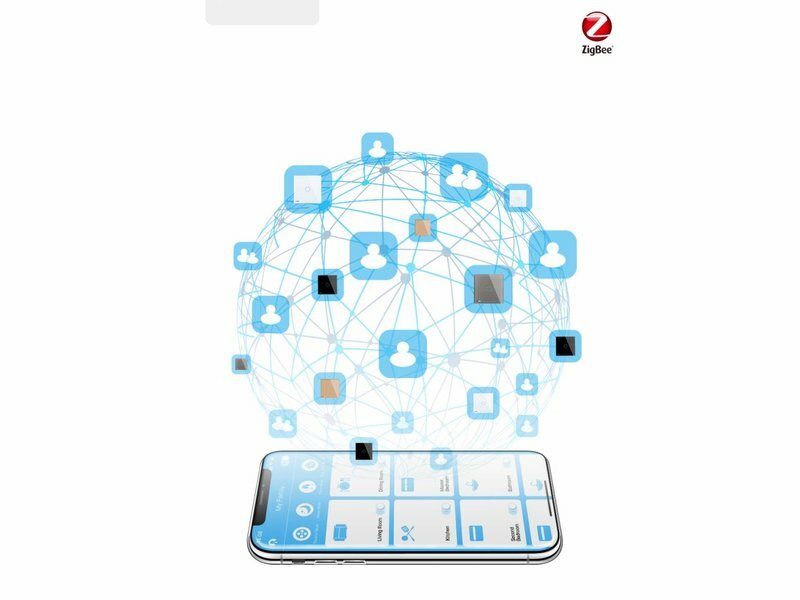 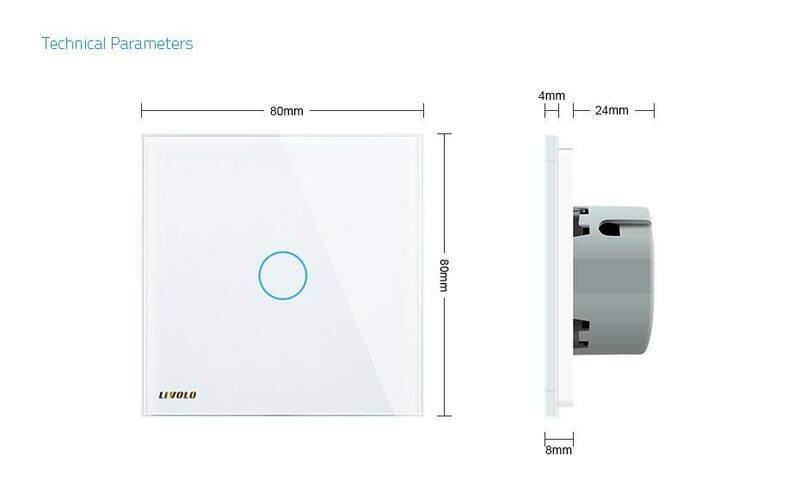 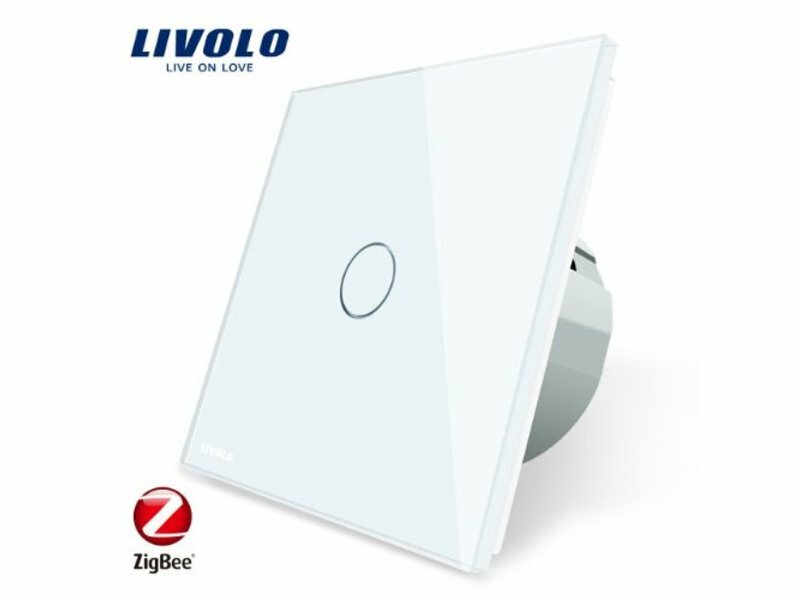 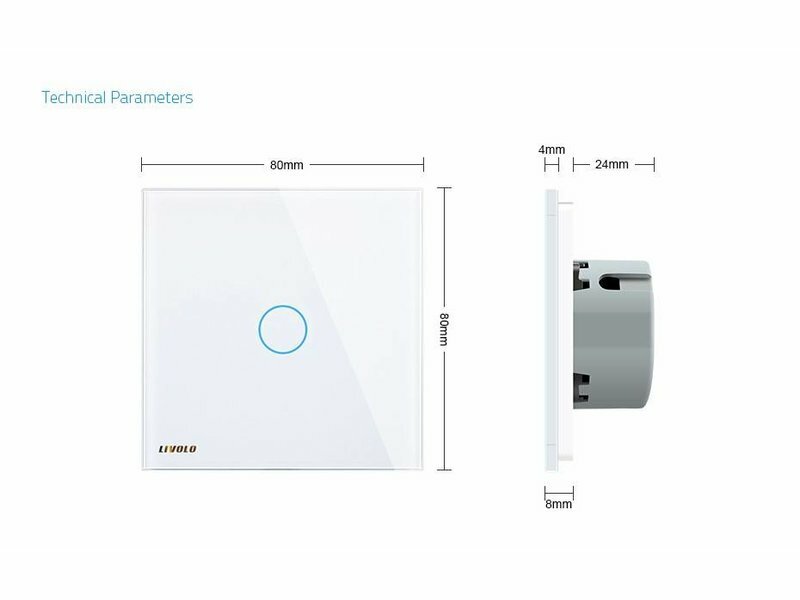 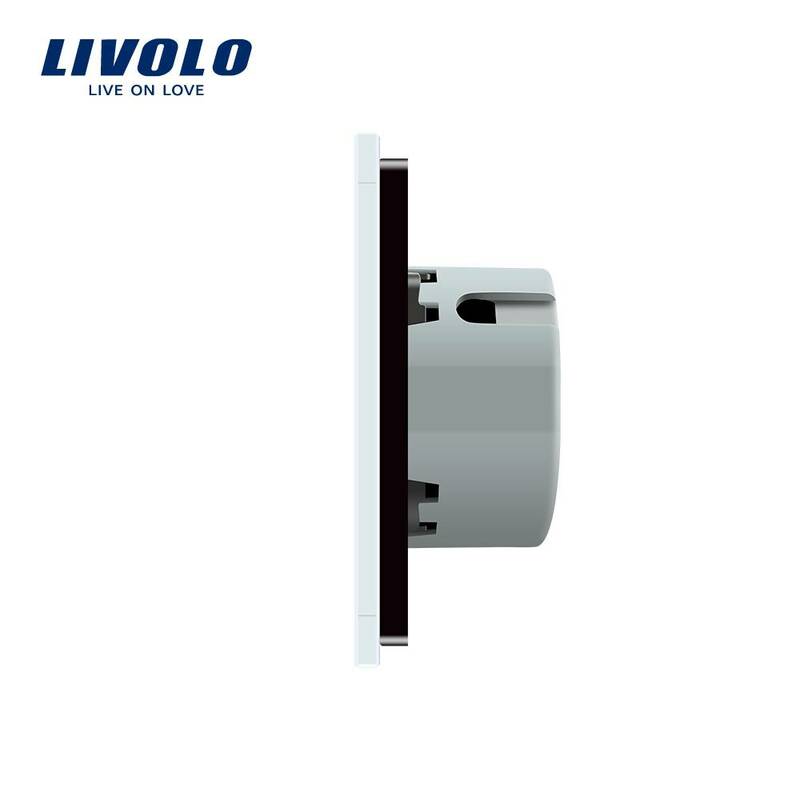 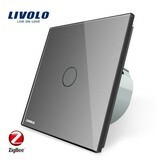 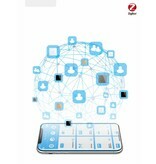 Livolo | Zigbee Touch Switch | Single pole | 1-pole | 1 Window for Livolo Smart Home (Domotica). 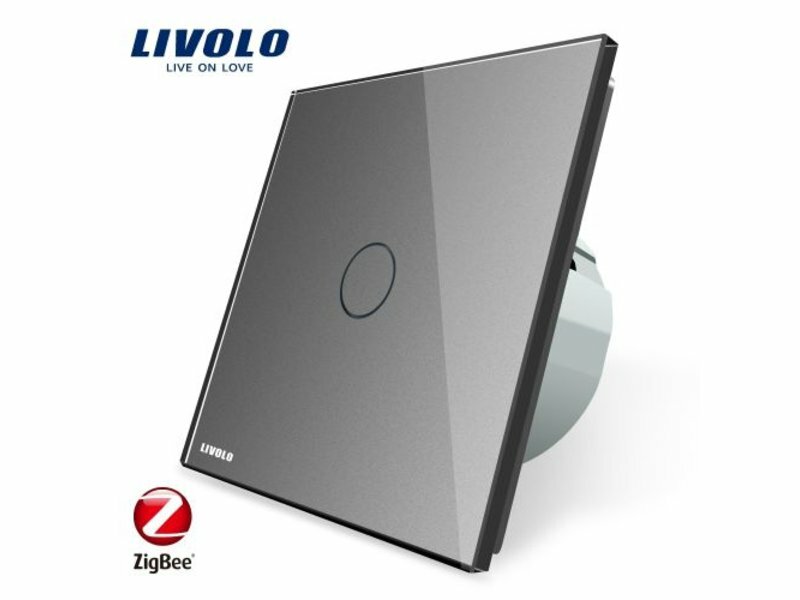 Wifi / App operable. 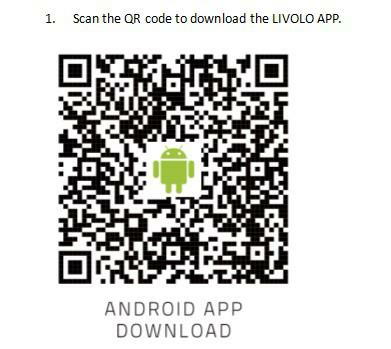 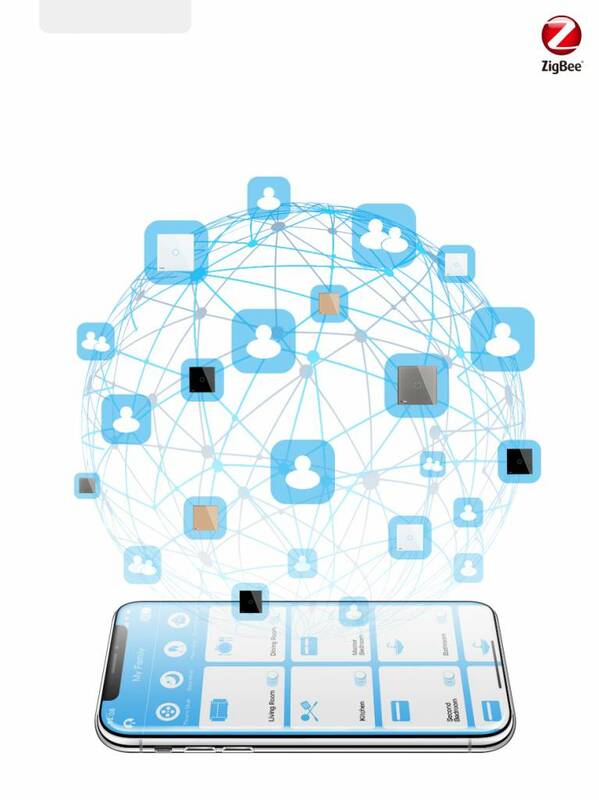 Operable with the Livolo app on your Smartphone or Tablet. 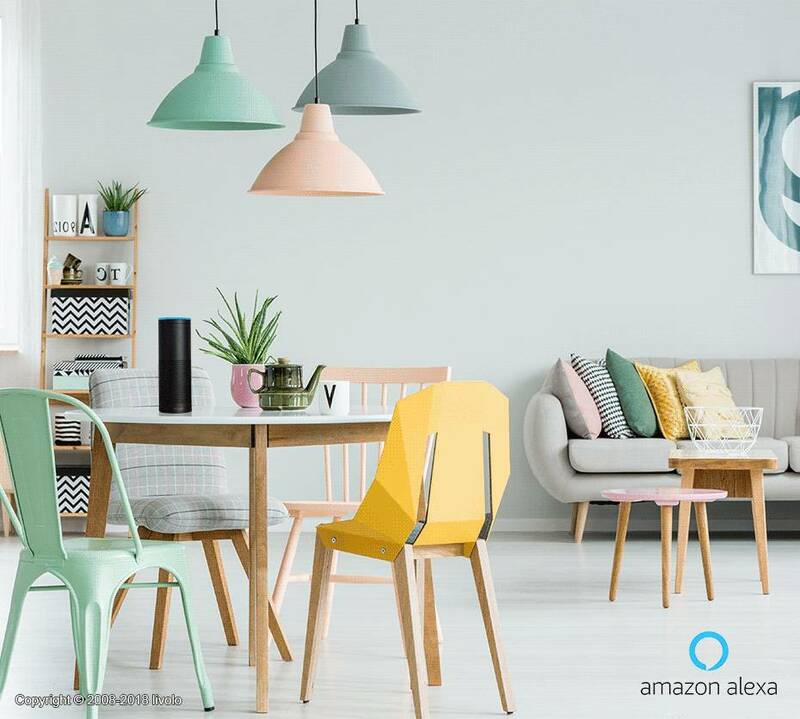 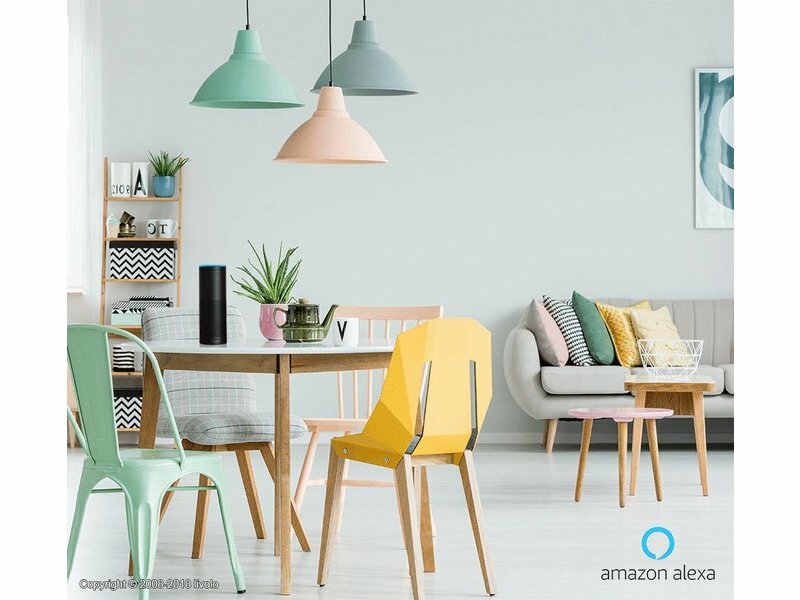 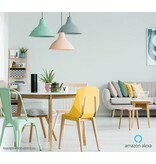 Can also be operated via Amazon Alexa (eg Amazon Echo). Only the touch switch with the Cherry wood front is exclusively WITH Livolo Logo. 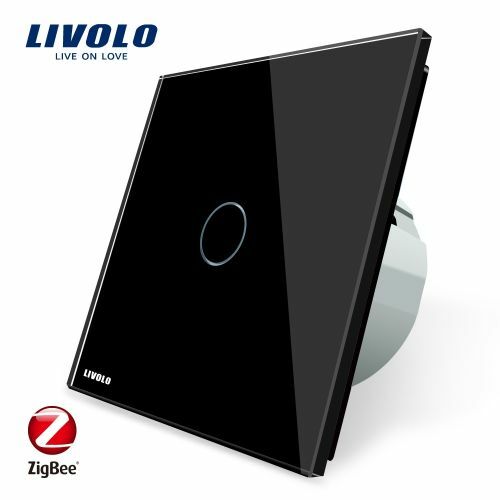 The elegant Touch Switch (light / wall switch) is equipped with a capacitive touch (touch) screen in a beautiful glass and beautiful sleek design. 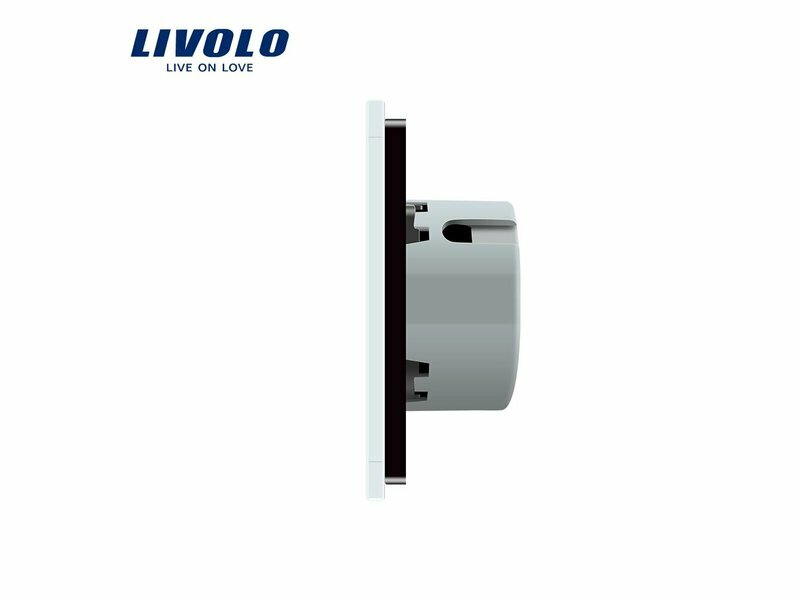 A light touch is sufficient to operate the Touch switch / switch because it works on the basis of capacitive sensor technology. 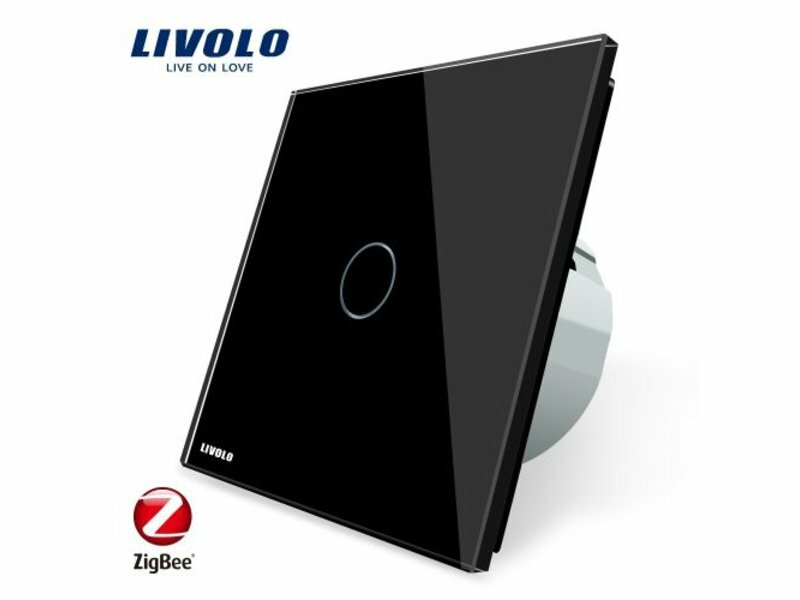 In the Touch Switch Eclipse, a blue LED for orientation lights up in the dark, when you touch the touch switch display, the blue LED will go to red, so that you can see that the touch switch is switched on. 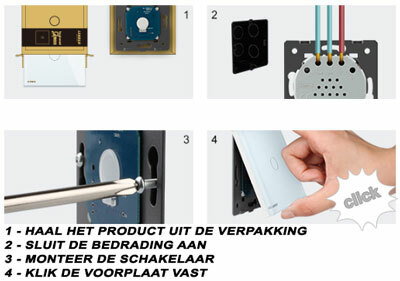 The switch is easy to build on the location of the old switch. 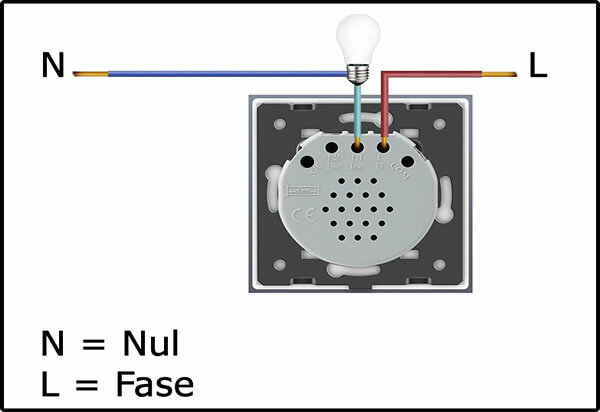 The dimensioning of the base of the switch is the same.